Jackson Morris, Senior Policy Advisor at the Pace Energy and Climate Center, discusses energy efficiency with The Long Island Press in the story, “New York Passes Historic Green Jobs Financing Law”. 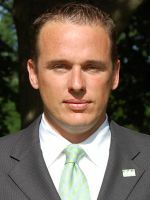 Jackson Morris, Senior Policy Advisor at the Pace Energy and Climate Center, was quoted in The Long Island Press article, “New York Passes Historic Green Jobs Financing Law.” In 2009, law makers in New York State passed a bill aimed at creating 60,000 jobs to retrofit buildings so that they are more energy efficient. Recently, the State passed an addition to the law, dealing with how the law would be funded, so that the jobs and greener buildings could actually be established.